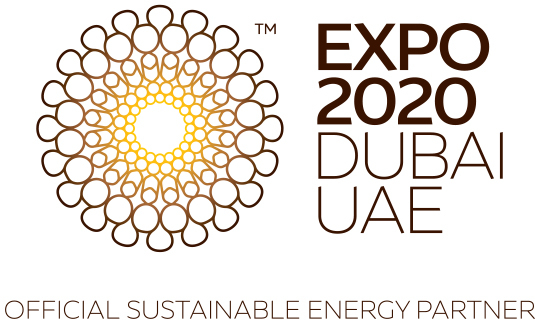 Dubai, UAE, 18 June 2017: Dubai Electricity and Water Authority (DEWA) has invited companies and organisations working in energy, water, the environment, and renewable energy to participate and display their products and services at the 19th Water, Energy, Technology, and Environment Exhibition (WETEX) and the 2nd Dubai Solar Show. Companies can benefit from the promising opportunities in these offered by the UAE and the region, and review key projects and investments that will be announced at the exhibitions, which will be held from 23-25 October 2017, at the Dubai International Convention and Exhibition Centre. DEWA organises WETEX under the directives of HH Sheikh Mohammed bin Rashid Al Maktoum, Vice President and Prime Minister of the UAE and Ruler of Dubai, and under the patronage of HH Sheikh Hamdan bin Rashid Al Maktoum, Deputy Ruler of Dubai, Minister of Finance and President of DEWA. For the 4th consecutive year, DEWA organises WETEX under the umbrella of Green Week, which includes a series of environmental activities and events aimed at raising awareness about the conservation of energy, sustainable development, and providing a green economy in Dubai. The 18th WETEX and 1st Dubai Solar Show in October 2016, were a remarkable success among exhibitors, visitors, participants and government organisations. The two exhibitions attracted 1,975 exhibitors and 25,000 visitors from 47 countries. They were an important platform for companies and organisations working in sectors such as energy, renewable energy, water, and the environment, to promote their technologies and projects, meet with decision makers, investors, buyers and interested people from around the world, conduct deals and build partnerships, learn about the latest solar-energy technologies, as well as opportunities to take part in solar energy projects and programmes in the region. “Over 18 years, the Water, Energy, Technology, and Environment Exhibition (WETEX) has grown to be the largest and most important specialised exhibition in the region in these key sectors. The exhibition has established itself as a key international event and a platform that brings together exhibitors, visitors, experts, specialists, decision makers, and investors. This year, a large number of international companies will take part in WETEX. They see it as an ideal platform to display their green solutions and products at a time when the UAE and Dubai Government continue to launch promising projects to support the green economy and sustainable development. With the accelerated growth in solar energy in the region and the success of the first Dubai Solar Show, DEWA is organising the second Dubai Solar Show in conjunction with WETEX 2017. It will occupy 14,000 square metres, and will attract the largest solar energy companies and organisations from across the world. It will be an ideal platform for the government and private sectors to make deals, build partnerships, review the latest solar-energy technologies, and current and future projects in the region. It will enable participants to learn about market needs and the available opportunities in solar-energy projects and programmes,” said HE Saeed Mohammed Al Tayer, MD & CEO of DEWA, and President and Founder of WETEX. “Organising WETEX, the Dubai Solar Show, and the World Green Economy Summit concurrently is an opportunity for exhibitors and participants to meet officials and decision-makers from the UAE, GCC, and the Middle East. Participants can take advantage of the busy agenda of the event, which includes seminars, workshops, and specialised activities and expert lectures and specialists from around the world. They will discuss the development and the use of solar energy in the region to achieve the sustainable development, to ensure a sustainable future for us and for generations to come,” added Al Tayer.